So, here is a photo that I took while walking on the Island of Brac the day of the fish picnic. To be sure, I took a double take and said to myself: “What the h_ _ _ is that?”. 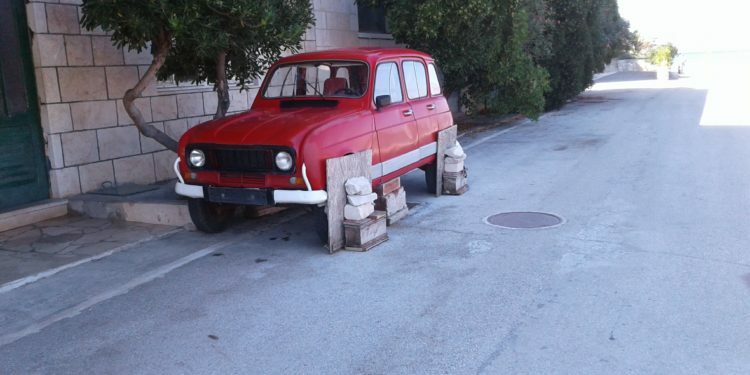 It was explained to me when I asked the owner of the cafe bar, where I sipped a delicious Cappuccino, that it was the Croatian version of an awning to protect tires. Really? Does it actually work? Who knows. But I have shared a few laughs with that photo and it has supplied some comic relief when needed. 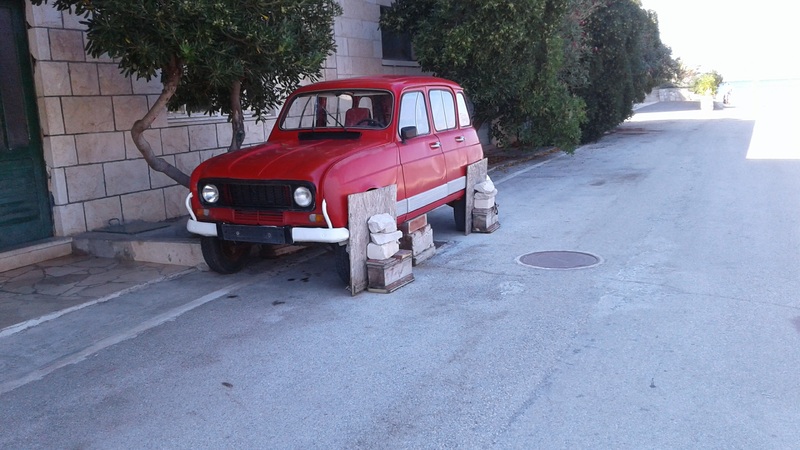 I have not yet tried protecting my tires with the ” tire awning”, but come with me to the Island of Brac on a Croatia Only Tour and see for yourself. If nothing else, we can enjoy a Cappuccino and a good laugh. The Mandich Family.